65611 (9/14) Copyright 2014 Mercer LLC. All rights reserved. 18	No on Prop. 46: Get Engaged! Opinions expressed by authors are their own, and not necessarily those of The Bulletin, SCCMA, or MCMS. The Bulletin reserves the right to edit all contributions for clarity and length, as well as to reject any material submitted in whole or in part. Acceptance of advertising in The Bulletin in no way constitutes approval or endorsement by SCCMA/ MCMS of products or services advertised. The Bulletin and SCCMA/MCMS reserve the right to reject any advertising. Address all editorial communication, reprint requests, and advertising to: Pam Jensen, Managing Editor 700 Empey Way San Jose, CA 95128 408/998-8850, ext. 3012 Fax: 408/289-1064 pjensen@sccma.org © Copyright 2014 by the Santa Clara County Medical Association. MICRA and Proposition 46 What Every Physician in California Needs to Know By Joseph S. Andresen, MD Editor, The Bulletin “Insurance Rates Peril Medical Care,” read the February 23, 1975, headlines of the San Jose Mercury News. “New Bay Area Crises in Medical Care: Doctors Might Halt Practice,” echoed the San Francisco Chronicle. I was in college at the time and had not yet applied to medical school. However, many of our medical society members remember this only too well and were on the front lines of this looming battle. What led to this confrontation? Insurance companies were pulling out of the California medical malpractice market citing the increasing frequency of frivolous lawsuits and multi-million dollar jury settlement awards. The few remaining carriers raised doctors’ insurance premiums first by 250% and then threatened another 400% increase on May 1 of 1975. Many physicians were forced to quit practice, retire, drop their coverage, or move out-of-state. Those who remained in practice realized that their patients would be the casualties in this battle, either making medical costs unaffordable, or severely limiting access to available doctors. There was no resolution of this crisis as the May 1 deadline passed by. The CMA initiated a massive grassroots campaign to educate and alert the public. Over 800 physicians, nurses, and hospital staff marched on Sacramento’s Capitol Hill, meeting with Governor Jerry Brown at the time. Through intensive negotiations with legislators, trial lawyers, and the insurance industry, the Medical Injury Compensation Reform Act (MICRA) was signed into law on September 23, 1975. It provides unlimited economic and punitive damages in the judgments of medical malpractice, but limits settlements for pain and emotional suffering to a total of $250,000. For the past forty years, MICRA has served as a nationwide model for medical liability tort reform. 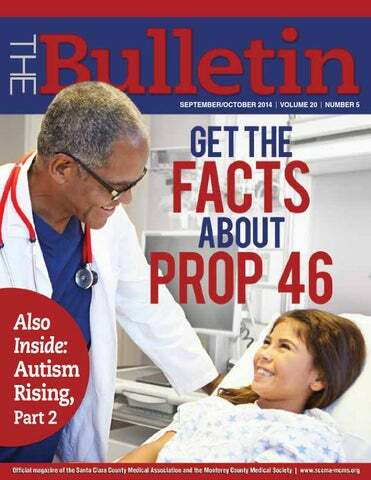 How will November ballot’s Proposition 46 change MICRA if it passes, and why should you care? Entitled the Medical Malpractice Lawsuits Cap and Drug Testing of Doctors Initiative, it is on the November 4, 2014, ballot in California as an initiated state statute. If approved it will: •	Increase the state’s cap on damages that can be assessed in medical negligence lawsuits to over $1 million from the current cap of $250,000. •	Require drug and alcohol testing of doctors and reporting of positive tests to the Medical Board of California. •	Require the Medical Board of California to suspend doctors pending investigation of positive tests and take disciplinary Joseph S. Andresen, MD, is the editor of The Bulletin. He is board certified in anesthesiology and is currently practicing in the Santa Clara Valley area. solution to prescription drug abuse. These increased costs would be passed to consumers and would, ultimately, hurt efforts to improve access and decrease health care delivery costs. CMA physician leaders have realized the necessity of an infrastructure to further the continuous improvement aims and accomplishments of this organization of physicians. Dustin Corcoran was hired as CEO. He has hired talented and dedicated staff, and created job descriptions, duties, responsibilities, training, and accountabilities. It is highly efficient and effective. We will defeat Proposition 46. When we do, it will be clear that CMA does what no other organized physician group does. It will also be clear that it is in the best interest of physicians in California to be a member. Membership guarantees that you have a voice in what the organization does, and most importantly, your membership pays for these services. Membership is the life blood of the California Medical Association. If you choose not to be a member, it is true that you will reap benefits that others have worked hard to obtain. If this seems fundamentally wrong, then you are probably a full-paying member of CMA. Please understand that dues have created the infrastructure to address issues like Proposition 46. Please understand that ongoing financial support to the organization is necessary to do the tasks and accomplish the mission. Please understand that it is not OK to stand by and reap benefits without contributing. If you know of a colleague who is not a member, please urge them to JOIN NOW! It is easy to apply online at http://sccma-mcms.org/ Membership/ApplyOnline.aspx. Together, we are stronger! 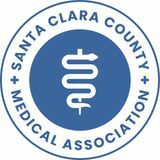 James R. Crotty, MD, MBA, is the 2014-2015 president of the Santa Clara County Medical Association. He is a urologist and is currently practicing with The Permanente Medical Group/Kaiser in San Jose. specialties, such as obstetrics or neurosurgery, out of the state and reduce further operating margins for practices. That may be a windfall for other states, such as Texas, where comprehensive malpractice reform has passed recently, making it an attractive place to relocate, but it would certainly not help Californians and would only reduce access to care, especially to the underprivileged members of our communities. Many of the increased costs associated with a successful ballot initiative would be born by the taxpayers themselves, making it simply a redistribution scheme, from taxpayers to certain trial lawyers, with no increase benefit to the common good. I, in no way, want to impugn the reputation or minimize the contribution of the majority of attorneys who work hard to protect the interests of their clients. As stated, MICRA has been such a success as it has balanced the interests of patients and physicians. And the tort system serves a valuable role of keeping everyone attentive, though it has been argued that it does this at the expense of increased costs and questionable additional testing. But, it is safe to say that with our current tort system, an inattentive or even reckless physician would not survive in practice very long. And, that is a good thing. So, despite being busy and pulled in so many directions, I am asking that you all find time to address Prop 46 with your friends, neighbors, staff, and patients. They will appreciate your point-of-view of how the system works, currently, and how a successful ballot initiative would affect your practice, the practices of your colleagues in high-risk specialties, your professional life, and your ability to continue to provide cost-effective quality medical care. Since 1975, MICRA has been a success for all – as the saying goes “if it ain’t broken, don’t fix it.” So let’s defeat Prop 46 and get back to taking care of our patients (and all those forms, too). Have You Joined the Fight? PROP 46 Over the last several months, you may have read information about the Medical Injury Compensation Reform Act (MICRA) lawsuit initiative, Proposition 46, in the pages of this magazine, on our website, in information from the California Medical Association (CMA) and likely from the hundreds of coalition partners that have all pledged to oppose the measure this November. On November 4, 2014, voters will be asked to cast their ballots. In the final months, weeks and days leading up to Election Day, it will be our task as physicians to educate our patients, neighbors, friends and families about the real intentions behind Prop. 46.
savings of $ over 86,000 The Medical Injury Compensation Reform Act (MICRA) is California’s hard-fought law to provide for injured patients and stable medical liability rates. But this year California’s Trial Lawyers have launched an attack to undermine MICRA and its protections and we need your help. Membership has never been so valuable! wAys sCCMA/MCMs/CMA Is woRkIng foR you! Physicians in santa Clara & Monterey Counties are saving an average of $86,818 this year. sCCMA/MCMs 700 Empey way, san Jose, CA 95128 sCCMA Phone: (408) 998-8850 fax: (408) 289-1064 MCMs Phone: (831) 455-1008 fax: (408) 289-1064 * Medical Liability Monitor - Annual Rate Survey Issue, Vol. 38, No. 10, October 2013. Annual rates with limits of $1 million/$3 million. signup sheet w w w.NoOn46.com Protect Access to Quality Health Care and Patient Privacy â&#x20AC;&#x201C; Oppose Prop. 46 YES! I/our organization/company would like to be listed as an official opponent of Proposition 46 - the ballot measure written by trial lawyers to make it easier and more profitable for lawyers to sue doctors and hospitals. Prop 46 will significantly increase health care costs, reduce patient access to care and jeopardize the privacy of our personal health information. Increased costs. Losing your doctor. Threatening your privacy. A broad coalition of doctors, community health clinics, hospitals, local governments, public safety, business and labor opposes Proposition 46, which would make it easier and more profitable for lawyers to sue doctors and hospitals. Prop 46 - A costly threat to people’s personal privacy Californians can’t afford. will appear appear on on the the November November 4, 4, 2014, 2014, By now, many of you you are are familiar with the MICRA lawsuit lawsuit initiative initiative that will ballot. Proposition 46 is being opposed by a coalition of doctors, community health clinics, Planned Parenthood ballot. Proposition a coalition of doctors, community health clinics, Planned Parenthood Affiliates of of California, California,local localgovernments, governments,working working men men and and women, women, business business groups, groups, taxpayer taxpayer groups, hospitals Affiliates and educators, all all of of whom know that the measure will lead to more lawsuits and higher health care care costs. What’s What’sitmore, it will threaten privacy and jeopardize to theirdoctors trusted doctors or clinics. more, will threaten personalpersonal privacy and jeopardize people’speople’s access toaccess their trusted or clinics. useful for coalition members who are on the ground working totodefeat Prop. 46. This information isMIEC intended to be areMIEC thehas ground working defeat Prop. takes pride in both. For nearly 40 years, been steadfast in our protection To that end, please also visit www.NoOn46.com for updated campaign information and to find out what you can 46. To that end, please also visit www.NoOn46.com for updated campaign information and to find out what youdo of an California physicians. With conscientious Underwriting, excellent Claims management to join efforts individual or organization. can do the to join the as efforts as an individual or organization. WHO OPPOSES PROP. 46? TALKING TO YOUR PATIENTS premiums low. to your patients Thousands of organizations and individuals representing Communicating the No on 46 message doctors, nurses, community clinics,as local will be critical to defeating the trial lawyers’ attacks on the Average Dividend %governments, of Premiums Past five Yearsgroups, taxpayer labor unions, business groups, education medical profession. As a trusted medical expert, you are in groups, hospitals, community groups and many others a unique position to Added share howvalue: Prop 46 would truly affect all oppose Prop. health care users and taxpayers. Please use the Frequently 40% 46 because it will lead to more lawsuits, n	below No profit motive and low overhead higher health care costs, threaten people’s access to their Asked Questions (FAQ) to guide your conversation 35% trusted doctor or clinic, and jeopardize people’s personal with patients. n	$17.5 million in dividends* distributed 30%drug information. prescription WHAT WILL PROP. 46 DO? 38.6% 25% in 2014 WHO SUPPORTS PROP. 46? Prop 46 does three things: 20% percent of the reported contributions to pay for One hundred • Quadruples the limit on medical malpractice awards signature15% gathering to place this on the ballot in November in California, which will cost consumers and taxpayers moreevery information orhealth to apply: 2014 came10%from trial lawyers and their allies. hundreds of millionsFor of dollars year in higher care costs, and cause many doctors and other medical care www.miec.com HOW WILL5%PROP. 46 INCREASE HEALTH CARE COSTS? professionals to quitn	their practice or move to places with 6.66% There is no0% question that more lawsuits against health care lower medical malpractice insurance premiums – reducing n	Call 800.227.4527 MIEC and someone Med Mal providers will increase costs, has toIndustry pay. And access to care. that someone is consumers and taxpayers. n	Email questions to • Threatens your privacy by requiring a massive expansion of California’s former Legislative Analyst found Prop. 46 would a personal prescription drug database. underwriting@miec.com increase health costs for consumers and the state by about $9.9 billion annually. • Requires alcohol and drug testing of doctors, which * (On premiums at $1/3 million Future dividends cannot be guaranteed.) was only added to this initiative to distract from limits. the main This translates to more than $1,000/year in higher health purpose. care costs for a family of four. Proposition 46 uses alcohol and drug testing of doctors to California’s current independent, non-partisan Legislative disguise the real intent – to increase a limit on the amount of Analyst Office (LAO) said impacts to state and local medical malpractice lawsuit awards. Owned by the policyholders we protect. And who controls the database? The government – in an age when government already has too many tools for violating your privacy. WHAT IS WRONG WITH THE PROVISION MANDATING USE OF THE CURES DATABASE? This database sounds simple, but it’s not. While the CURES database is already in existence, Prop. 46 would require an immediate ramp up (the day after the election, on November 5, 2014), and will force the CURES database to respond to tens of millions of inquiries each year – something the database simply cannot do in its current form or functionality. HOW DOES THIS AFFECT TAXPAYERS? State and local governments pay for current and retired government employee health benefits and they provide health care “safety net” services directly through Medi-Cal, state and county hospitals and community clinics, and other local programs. If lawsuits increase and health care costs go up, state and local governments pay these out of the budgets they receive from taxpayers. Increased health costs to state and local governments could force cuts to other vital services like education, public safety and social safety net programs. Or, state and local governments may decide to make up that additional cost by raising revenues, and that will come from taxpayers. The physician community and all health care providers are always looking for ways to improve patient safety. WHAT ABOUT ACCESS TO HEALTH CARE? HOW WILL THAT BE AFFECTED BY PROP. 46? If California’s medical liability cap goes up, people could lose the ability to see their trusted doctors. Many community clinics operate on slim margins. Any significant increase in their costs will force them to reduce or eliminate services for patients. Many doctors will be forced to leave California to practice in states where medical liability insurance is more affordable. But don’t be fooled by Prop 46. Respected community clinics, including Planned Parenthood, warn that specialists like OB-GYNs will have no choice but to reduce or eliminate vital services, especially for women and families in underserved areas. WHY ARE COMMUNITY CLINICS SO STRONGLY OPPOSED TO PROP. 46? Community clinics, like Planned Parenthood Affiliates of California, Community Clinic Association of Los Angeles County, and the California Association of Rural Health Clinics and hundreds of others say Prop. 46 will raise costs that will cause specialists, like OBGYNs, to reduce or eliminate services to their patients. Many clinics struggle financially, particularly community clinics that serve low-income, uninsured and rural patients. Anything that increases costs could jeopardize access to care for those patients most in need. HOW WILL PROP. 46 THREATEN PEOPLE’S PERSONAL PRIVACY? Prop. 46 forces doctors and pharmacists to use a massive statewide database filled with Californians’ personal medical prescription information. A mandate government will find impossible to implement, and a database with no increased security standards to protect personal prescription information from hacking and theft – none. ultimate sweetener,” designed to deceive voters from the real reason behind the initiative, to make lawsuits easier and more lucrative for the lawyers who wrote and funded Prop 46. The $250,000 cap reduces incentives to file meritless lawsuits, while at the same time ensures that legitimate claims can move forward. ARE THE DRUG TESTING PROVISIONS IN PROP. 46 THE SAME AS WHAT THE FAA AND DEPARTMENT OF TRANSPORTATION REQUIRE OF PILOTS AND AIRLINE PERSONNEL? No. In fact, Prop. 46 cherry picks portions of the FAA procedure for pilots, but excludes other important provisions that ensure due process and fairness. For instance: Prop. 46 imposes a “presumption of negligence” immediately upon a positive test or if a physician is unable to take the test within the mandated 12 hour timeframe. This is not part of the FAA/Department of Transportation regulatory framework. WHAT ABOUT CHILDREN, SENIORS, AND LOW-INCOME CALIFORNIANS AND THE $250,000 MICRA CAP? Those who will be most hurt by Prop. 46 and the higher health care costs are the very people who are most vulnerable and least able to absorb higher costs: children, seniors, families and low-income Californians. More lawsuits, like those that will result from Prop. 46, will increase costs for those who can least afford them. And it will reduce patient access to care. Increasing lawsuits is not the answer and will do absolutely nothing to improve health care quality. Anyone (disgruntled patient, co-worker, family member) could make a claim that a physician is impaired. In fact, Prop. 46 grants immunity to anyone who reports any information that “appears” to show that a physician “may” be impaired. The FAA and Department of Transportation’s drug testing policies are designed to identify and respond to impairment that directly places passengers at risk. In contrast, Prop. 46 focuses on identifying and imposing sanctions for physician substance use during an arbitrary time period, regardless of whether there is any evidence that it places patient safety at risk. ARE PATIENTS ONLY ENTITLED TO $250,000 IN THE EVENT OF A MEDICAL LIABILITY CASE? No. MICRA was set up to ensure patients received fair compensation if they were injured. Under MICRA, patients receive: • UNLIMITED economic damages for any and all past and future medical costs. • UNLIMITED economic damages for lost wages and lifetime earning potential. • UNLIMITED punitive damages - punishment awarded for malicious or willful misconduct. The bottom line is that Prop. 46 will make it harder for all of California’s patients, including children, seniors, and low-income families to receive quality care. That’s why groups like the American Academy of Pediatrics – California, California Children’s Hospital Association, Children’s Specialty Care Coalition and senior advocates like those at Curry Senior Center oppose this measure. WON’T PROP. 46 HELP IMPROVE QUALITY BY HOLDING DOCTORS MORE ACCOUNTABLE? Even one medical error is too many and that’s why the entire health care community is always looking for ways to improve patient safety. But don’t be fooled by this measure. children, seniors, and low-income families to receive quality care. Increasing lawsuits is not the answer and will do absolutely nothing to improve health care quality. Worse, the resulting higher health care costs will put health care services even more out of reach for people who already suffer from lack of access. Community clinics, rural practitioners and safety net providers are the most vulnerable to cost increases and could be forced to cut back services. • Up to $250,000 for speculative “non-economic” damages, often called pain and suffering. Get Engaged! By now, many of you are familiar with the MICRA lawsuit initiative that will appear on the November 4, 2014, ballot. Proposition 46 is being opposed by a coalition of doctors, community health clinics, Planned Parenthood Affiliates of California, local governments, working men and women, business groups, taxpayer groups, hospitals and educators, all of whom know that the measure will lead to more lawsuits and higher health care costs. What’s more, it will threaten personal privacy and jeopardize people’s access to their trusted doctors or clinics. This information is intended to be useful for coalition members who are on the ground working to defeat Prop. 46. To that end, please also visit www.NoOn46.com for updated campaign information and to find out what you can do to join the efforts as an individual or organization. WHAT YOU CAN DO SIGN UP FORMALLY (AS AN ORGANIZATION, PRACTICE OR INDIVIDUAL) IN OPPOSITION TO THE CAMPAIGN Visit the campaign website at www.NoOn46.com to add your name to the growing list of groups and organizations opposing Prop. 46. REQUEST A CMA STAFF MEMBER TO SPEAK TO YOUR GROUP, HOSPITAL OR SPECIALTY SOCIETY Let your local county medical society or CMA know and we can ensure you’re hearing from the right people about the most recent campaign updates. ORDER CAMPAIGN COLLATERAL Download the Order Form to receive office posters, Englishand Spanish-language patient brochures, campaign buttons, message cards and more. You can also order directly online by visiting NoOn46.com SPREAD THE MESSAGE ON SOCIAL MEDIA If you’re active on social media, start by following the California Medical Association and No on Prop 46. Retweet and repost the information that is being put out to help spread the word about how dangerous and costly Prop. 46 will be for everyone. For questions about how to start a Twitter or Facebook account or how to engage with CMA, please contact Brooke Byrd at bbyrd@cmanet.org. PARTICIPATE IN MESSAGE/MEDIA TRAINING The campaign is looking for physicians interested in taking on a more public role speaking to community groups about why this ballot measure should be defeated. Contact Molly Weedn at mweedn@cmanet.org for more information. SPEAK TO YOUR COLLEAGUES, PATIENTS AND COMMUNITY Use the resources at NoOn46.com to talk to your colleagues, patients, friends and family. Don’t forget to speak to community members as well – groups such as Rotary, Kiwanis, Soroptimist and more provide great venues for presentations. Medical Professionals Seek Secure Mobile Communication Platform for Efficient Work Flow – Not Social Networks By Tracey Haas, DO, MPH THE SOLUTION Co-Founder and Chief Medical Officer of DocbookMD Mobile communication is an integral and growing part of every aspect of modern life, including health care. Fast and secure communication between care team members can measurably improve clinical efficiency as well as patient outcomes—this is a given. In addition, federal and state requirements for electronic health record keeping are pushing many medical professionals to aggressively begin updating and integrating their electronic health records and communications. However, many physicians and health care organizations still rely on multiple technologies and information systems for their communications. The time it takes to monitor multiple communication portals can take away from time spent with patients and allow important messages to slip through. Several products are currently on the market to address the need for HIPAA-compliant mobile messaging among medical professionals. However, many of these solutions have serious flaws: they are social networks that make their money by selling physicians’ information to recruiters, or they are silo’d solutions that only help those who work inside a hospital system. Physicians need a mobile communication solution that is not only HIPAA-secure, but also shields their personal information and works regardless of practice type or location. The ideal messaging application for health care providers should include the following: •	Efficient and instantaneous physician-to-physician communication •	A secure community to share patient information and collaborate with medical colleagues, in a HIPAA-secure manner •	Ability to send medical images securely between physicians •	Built-in local physician and pharmacy directories •	Ability to scale from small groups, to hospitals, all the way to large multi-enterprise organizations like ACOs •	Widespread adoption among medical professionals •	Availability across platforms including smartphones, tablets, and the Web •	Data that resides on secure servers, not users’ devices •	Ability to remotely disable the app on a device that has been lost or stolen •	Long-term message archive compliant with HITECH recommendations •	Ability to integrate with other Health IT solutions When all the information is at a physician’s fingertips, faster and richer discussions on patient treatment and care can result. Also, with local physician and pharmacy directories built into a secure messaging app, the time physicians spend finding colleagues or tracking down a local pharmacy is cut from hours to minutes. The only HIPAA-secure instant messaging application that meets all these requirements is DocbookMD. Designed by physicians, for physicians, it creates a secure community, to share patient information and collaborate with medical colleagues as well as third-party services like radiology, labs, answering services, even health plans. Drs. Tim Gueramy and Tracey Haas began developing DocbookMD out of their own need for more efficient and instantaneous physician-to-physician and physician-tocare team communication. Since then, DocbookMD has experienced incredible growth, now serving over 25,000 physician users across 41 states. In addition, DocbookMD offers CareTeam, a feature that allows physicians to invite members of the patient’s direct care team—including nurses, PAs, admin, care coordinators, and other staff—to join them on DocbookMD to communicate in a secure, fast, and efficient way through their mobile devices. With DocbookMD, health care providers of all kinds can communicate with colleagues rapidly and securely, with the confidence that their privacy and data integrity will be maintained. Here are some exemplary use cases based on actual users’ testimonials: •	A dermatologist can send the ENT surgeon an image of a complicated skin lesion to be removed. The surgeon is able to make a more efficient plan for surgery and reconstruction ahead of time. •	A family doctor in a rural area can collaborate over X-rays with an orthopedic surgeon in the nearest city. The specialist is able to determine if an urgent surgery or just a cast is necessary, saving the patient time, extra office visits, and travel. •	A radiologist can communicate test results immediately to the ordering physician, who can, in turn, notify the patient and bring in for treatment, if needed, much more quickly. •	An emergency physician is able to rapidly receive and send messages, images, and test results to consultants and referring doctors during a busy shift. They are also able to coordinate transfer of care with outpatient primary care, or inpatient hospitalists, thereby streamlining transitional patient care and closing the loop on any ER visit. Physicians report improved workflow with the ability to do the same work in far less time. For example, a traveling cardiologist’s assistant can send the doctor lower extremity Doppler studies and EKGs for a patient who may be hundreds of miles away. The cardiologist is able to make treatment decisions without having to return, and the patient receives much quicker and more responsive care. Ultimately, when choosing a secure instant messaging application for medical communications, physicians and health care organizations must carefully consider their professional needs as well as the potential to improve patient care. What features are absolute must-haves? What app characteristics would eliminate an app from consideration? Is the solution scalable? Is it cost-effective? Can it be integrated into existing health IT solutions? Answers to these questions and others will help physicians to evaluate messaging apps and select the right fit for their organization. A HIPAA-secure mobile medical communication solution should put physicians firmly in control of whom they connect with and who can send them messages. Any other model opens physicians up to unwanted contacts and wasted time. radiology practice, a leaking fire suppression system destroyed a $1,000,000 1.5 tesla MRI. Make sure you’re covered. Excelling as a Manager or Supervisor Participants will learn about: NOT ALL OF US ARE NATURAL LEADERS… COME LEARN HOW TO LEAD LIKE THE PROS! As a current or newly promoted manager, supervisor or leader, you face a wide variety of challenges. In addition to accomplishing your own projects, you are expected to build and motivate a team to meet department and company goals. So, your performance is based mostly on the performance of others! THE BUREAU OF MEDICAL ECONOMICS Competitive pricing and superior service for your billing, collection, and consulting needs. Committed to providing superior billing and collection services to physicians and other professional providers of health services while upholding the professional integrity of those we represent since 1947. A rate of recovery over twice the national average. Enter	your	email	address	under	“Not	Yet	a	Member?”	and	enter	organization/company	name:	SCCMA/MCMS. Proceed	to	create	your	own	unique	username	and	password	to	login	anytime! All	websites,	links,	and	promo	codes	are	case-­-­sensitive. Many	more	discounts	available,	call	Molly! SCCMA-MCMS is publishing various Choosing Wisely® lists of "Things Physicians and Patients Should Question." Choosing Wisely - see next page - is an initiative of the ABIM Foundation to help physicians and patients engage in conversations to reduce overuse of tests and procedures, and support physician efforts to help patients make smart and effective care choices. The American Society of Clinical Oncology (ASCO) has had a standing Cost of Cancer Care Task Force since 2007. The role of the Task Force is to assess the magnitude of rising costs of cancer care and develop strategies to address these challenges. In response to the 2010 New England Journal of Medicine article by Howard Brody, MD, “Medicine’s Ethical Responsibility for Health Care Reform – the Top Five List,” a subcommittee of the Cost of Cancer Care Task Force began work to identify common practices in oncology that were both common as well as lacking sufficient evidence for widespread use. Upon joining the Choosing Wisely campaign, the members of the subcommittee conducted a literature search to ensure the proposed list of items were supported by available evidence in oncology; ultimately the proposed Top Five list was approved by the full Task Force. The initial draft list was then presented to the ASCO Clinical Practice Committee, a group composed of community-based oncologists as well as the presidents of the 48 state/regional oncology societies in the United States. Advocacy groups were also asked to weigh in to ensure the recommendations would achieve the dual purpose of increasing physician-patient communication and changing practice patterns. A plurality of more than 200 clinical oncologists reviewed, provided input and supported the list. The final Top Five list in oncology was then presented to, discussed and approved by the Executive Committee of the ASCO Board of Directors and published in the Journal of Clinical Oncology. ASCO’s disclosure and conflict of interest policies can be found at www.asco.org. Five Things Physicians and Patients Should Question The American Society of Clinical Oncology (ASCO) is a medical professional oncology society committed to conquering cancer through research, education, prevention, and delivery of high-quality patient care. ASCO recognizes the importance of evidence-based cancer care and making wise choices in the diagnosis and management of patients with cancer. After careful consideration by experienced oncologists, ASCO highlights five categories of tests, procedures and/or treatments whose common use and clinical value are not supported by available evidence. These test and treatment options should not be administered unless the physician and patient have carefully considered if their use is appropriate in the individual case. As an example, when a patient is enrolled in a clinical trial, these tests, treatments, and procedures may be part of the trial protocol and therefore deemed necessary for the patient’s participation in the trial. Don’t use cancer-directed therapy for solid tumor patients with the following characteristics: low performance status (3 or 4), no benefit from prior evidence-based interventions, not eligible for a clinical trial, and no strong evidence supporting the clinical value of further anticancer treatment. • Studies show that cancer directed treatments are likely to be ineffective for solid tumor patients who meet the above stated criteria. • Exceptions include patients with functional limitations due to other conditions resulting in a low performance status or those with disease characteristics (e.g., mutations) that suggest a high likelihood of response to therapy. • Implementation of this approach should be accompanied with appropriate palliative and supportive care. Don’t perform PET, CT, and radionuclide bone scans in the staging of early prostate cancer at low risk for metastasis. • Imaging with PET, CT, or radionuclide bone scans can be useful in the staging of specific cancer types. However, these tests are often used in the staging evaluation of low-risk cancers, despite a lack of evidence suggesting they improve detection of metastatic disease or survival. • Evidence does not support the use of these scans for staging of newly diagnosed low grade carcinoma of the prostate (Stage T1c/T2a, prostate-specific antigen (PSA) <10 ng/ml, Gleason score less than or equal to 6) with low risk of distant metastasis. • Unnecessary imaging can lead to harm through unnecessary invasive procedures, over-treatment, unnecessary radiation exposure, and misdiagnosis. Don’t perform PET, CT, and radionuclide bone scans in the staging of early breast cancer at low risk for metastasis. • Imaging with PET, CT, or radionuclide bone scans can be useful in the staging of specific cancer types. However, these tests are often used in the staging evaluation of low-risk cancers, despite a lack of evidence suggesting they improve detection of metastatic disease or survival. • In breast cancer, for example, there is a lack of evidence demonstrating a benefit for the use of PET, CT, or radionuclide bone scans in asymptomatic individuals with newly identified ductal carcinoma in situ (DCIS), or clinical stage I or II disease. • Unnecessary imaging can lead to harm through unnecessary invasive procedures, over-treatment, unnecessary radiation exposure, and misdiagnosis. Don’t perform surveillance testing (biomarkers) or imaging (PET, CT, and radionuclide bone scans) for asymptomatic individuals who have been treated for breast cancer with curative intent. • Surveillance testing with serum tumor markers or imaging has been shown to have clinical value for certain cancers (e.g., colorectal). However for breast cancer that has been treated with curative intent, several studies have shown there is no benefit from routine imaging or serial measurement of serum tumor markers in asymptomatic patients. • False-positive tests can lead to harm through unnecessary invasive procedures, over-treatment, unnecessary radiation exposure, and misdiagnosis. Ground floor suite in a 2-story building. TI available. Abundant parking. Easy access to San Tomas Expressway and Hwys 17 & 85. Park like setting with mixed use tenants including retail, office, medical & dental. Near downtown Cupertino. Easy access to Hwy 280. Brand new medical office building. Built with the highest quality materials and finishes. TIâ&#x20AC;&#x2122;s available. Adjacent to Good Samaritan Hospital. Great medical building, steps away from El Camino Hospital Los Gatos. Ground floor unit, TI dollars available. Fully plumbed dental suite available for lease. Easy access to Hwys 280 & 880. Space is divisible. Fully plumbed dental suite in 2-story building. Close to Civic Center, City Hall, Apple HQ. Easy access to Hwy 280. 2-story medical/dental office building. Great location with easy access to Hwys 17 & 85. Very close to Good Samaritan Hospital. Modern Class A medical building. Easy access to 85 and 101, and great promotional rate! 881 Fremont Ave, Los Altos Ground floor space in a 2-story building available. Located in close proximity to the Loyola Corners District of Los Altos. Neighborhood shopping center with wide array of retail tenants with Ross Dress For Less anchor. BRAND NEW exteriors, lobby & full ADA upgrades! Located close to Willow Glen, Cambrian & Los Gatos. Easy access to Hwys 880 & 17. California Mission style building. Space is divisible. Waking distance from O’Connor Hospital. Great access to Hwys 280 & 880. Medical dental suite available. Close to O’Connor Hospital. Great freeway access. Available NOW. TI’s available. 2005 Naglee Ave, San Jose Beautiful turn-key medical suite in the corner of Naglee Ave & Bascom Ave. Brand new interiors. Located Convenient access to Hwys 17 & 85. 521 Parrott Street, San Jose Excellent for medical/dental or professional offices. Great street frontage. Ample power. Turn-key TI’s available. 2081 Forest Ave, San Jose Medical office building with established tenants located directly adjacent to O’Connor Hospital. Flexible terms. 5150 Graves Ave, San Jose Located in the West Valley Professional Center. Small suite availble NOW. Single-story building. Medical office available in newer medical/retail center near Santana Row & freeways. New building, must see! TI’s available. Foothill Medical-Dental Center is a 6 plus acre medical project in the heart of Sunnyvale. Various medical & plumbed (dental) suites available. Medical, dental, or retail uses allowed. Great Los Gatos Blvd location. Easy freeway access to Hwys 85 & 17. 3229 S. Bascom Ave, San Jose Price: $1,589,000. Great corner location near Good Samaritan Hospital. Zoned Pedestrian Commercial. Financing available. Second floor end unit class-A medical condo. Close to O’Connor Hospital. Great access from Hwys 880 & 280. Freestanding medical/retail building in shell condition. Great visibility and freeway access. 4155 Moorpark Ave, San Jose Building size: 20,462 SF. Great medical/dental location at Saratoga Ave & Moorpark Ave. Convenient access to Hwy 280. Owner-user opportunity in a rare multi-tenant Flex/R&D building. Multiple entrances, grade level doors, flexible zoning. Theatre/auditorium + 4,200 SF of retail space. High visibility & traffic location. Close to Valley Medical Center, San Jose City College. 1110-1118 Elko Dr, San Jose Lot: 20,000 SF. Hard to find multitenant industrial flex/warehouse. Owner-user opportunity. Qualifies for SBA financing. some areas of the brain involved in memory, alteration in the excitatory/ inhibitory imbalance of glutamatergic/GABAeric system and systemic immune dysfunction, all connected to the functional behavioral problems seen in autism. How are these connected with one diagnosis? triggers, will help not only in treatment, but also urgently guide preventative actions for this difficult and costly syndrome. Autism Rising, from page 33 development and functioning of the nervous system is intimately tied to immune, reproductive, and thyroid hormones during development, both prenatally and postnatally. (87)(89) What interactions do these have on the developing brain? Is it just the brain that is out of order in autism? Although there is much research to be done, we know a great deal about mechanisms of toxicity for environmental exposures and how they exert their effects on cells and metabolism. In Autism Rising Part 1, these concepts were introduced. In Part 2, we will focus on the highlights of current research into genetic, biochemical changes, and pathophysiology. We will then look at how researchers have connected at least some of the dots with regards to gene and environmental interactions. Scientists and experts in neurotoxicology are especially concerned, and are now calling for precautionary and preventative strategies with regards to potential environmental factors. “We need a systematic search for potentially preventable environmental causes of autism,” Dr. Philip Landrigan, director of the Children’s Environmental Health Center, Mt. Sinai AUTISM Autism Spectrum Disorder (ASD) is a behaviorally-defined group of neurodevelopmental disorders characterized by impairments of social interaction, communication, and restricted, repetitive, and stereotyped patterns of behavior, interests, and activities. Individuals with autism vary widely in abilities, intelligence, and behaviors. From 30% to 60% of children with an autism spectrum disorder have an IQ measure that falls in the intellectual disability range. (3) It is generally diagnosed within the first three years of life during a time of critical and fragile circuit refinement. Autism is more common in boys by a factor of four. Some show signs of autism in infancy, while others may grow normally the first few years then suddenly become withdrawn or lose language. (58) Many individuals with ASDs have symptoms of associated medical conditions, including seizures, sleep problems, metabolic conditions, and gastrointestinal (GI) disorders, which have significant health, developmental, social, and educational impacts. (34) Behavioral symptoms include poor eye contact, language difficulty, inappropriate social interaction, repetitive motion or rocking, constant motion, and difficulty with changes in routine. COMMON ASPECTS OF IMPAIRMENT: IMMUNE SYSTEM, INFLAMMATION, OXIDATIVE STRESS Of the hundreds of studies already done, there appear to be some common aspects of biochemical changes and metabolism that link altered genes to environmental factors. A review of research trends shows a strong association between ASD and immune dysregulation and inflammation (416 articles), oxidative stress (115 articles), mitochondrial dysfunction (145 articles), and toxicant exposures (170 articles). (46) In addition, many articles point to subgroups with imbalances in the inhibitory/excitatory and glutamate signaling, a common biologic pattern seen in ADHD, and schizophrenia as well. (60) Toxic chemicals and radiation also cause biochemical changes in cells, reactive oxygen species (ROS), and inflammation that are linked to chronic disease. Autism Rising, from page 35 generative diseases. In addition, mitochondria are sensitive to free radical formation and oxidative stress, which can cause damage to the membrane and DNA, causing dysfunction of the mitochondria. REACTIVE OXYGEN SPECIES: DARTH VADER OF MOLECULES Reactive Oxygen Species (ROS) are chemically active molecules that are normally formed in our cells due to natural processes such as infection and can help kill unwanted bacteria. Under normal conditions, ROS serve as messengers in the regulation of intracellular signaling. Excess ROS is harmful and may induce irreversible damage to our cellular components and lead to cell death through mitochondrial pathways. ROS can cause damage to DNA, enzymes, fatty acids, and proteins. OXIDATIVE STRESS, GLUTATHIONE, AND AUTISM Oxidative stress and glutathione (GSH) levels are another major focus of research. There is increasing evidence of oxidative stress and reactive oxygen species (ROS) formation in the pathophysiology of autism. TOXINS CREATE REACTIVE OXYGEN SPECIES Toxins such as tobacco, chemicals, hormone disruptors, and both ionizing and non-ionizing radiation in the environment stimulate reactive oxygen species. This is one mechanism of injury leading to chronic disease and cancer. (110) Natural antioxidants such as glutathione and superoxide dismutase that protect cellular processes may become overwhelmed by this toxic exposure. Antioxidant glutathione levels can drop and protection of cells is abolished, leaving the cell and the organism more vulnerable to other toxic exposures we commonly encounter. mors, with long-term cell phone use – over 10 years. (124) Neurobehavioral effects from EMF have been reported to include memory loss, tinnitus, headaches, hearing loss, and insomnia. Electrosensitivity to wireless devices and EMF is officially recognized as a functional impairment in Sweden and affects about 3% of the population. (117)(118) School children have reported electrosensitivity in school after WiFi was placed, with symptoms of headache, rapid heartbeat, nausea, weakness, shakiness, and rashes. It did not occur when they were home. (120) Considering the wide range of cellular effects from microwave EMF, it seems plausible that WiFi communications would contribute to autistic development through de novo mutations or exacerbate symptoms due to reactive oxygen species production, thus overwhelming glutathione stores. Many scientists throughout the world have been calling for a reevaluation of the international standards for EMF, as they are not protective of human health. DANISH STUDIES FIND SURPRISING LINK BETWEEN EMF AND BEHAVIOR Some studies have explored human behavior problems and cell phone use. (122)(123)(124) Two large Danish studies of 13,000 (2008) and 28,745 children (2012) demonstrated that cell phone use was associated with behavioral problems at age seven years in children, and this association was not limited to early users of the technology. Exposure to cell phones prenatally – and, to a lesser degree, postnatally – was associated with behavioral difficulties such as emotional and hyperactivity problems around the age of school entry. The results were a surprise to the authors who expected to find no effect. Autism Rising, from page 39 lecular damage with production of reactive oxygen species, inflammation, and genetic damage similar to that seen in autism. These toxins could act in concert to cause an array of biochemical and behavioral manifestations. Unfortunately, as we are increasingly exposed to the classic toxins, there are novel insults to our cells from newer environmental factors such as nanoparticles in consumer products, and wireless devices whose nonionizing radiation which we now know can cause adverse biologic, and therefore, health effects. Genetically modified foods create genetic pollution and are another area of increasing concern with regards to both human and environmental health. It is difficult to sort out any one cause of autism or host of other modern diseases. In order to protect public health, a rational and responsible approach to environmental toxins would be to apply the precautionary principle. If an environmental factor has been shown to have toxic effects with a reasonable amount of scientific data, efforts to prevent commercial use or to reduce or eliminate that factor would be addressed rapidly and without excessive corporate or political interests that could obstruct responsible action. A systematic approach and ethical leadership are called for. 1. Legally mandated testing of existing chemicals and pesticides in commerce, with prioritization of those with the most widespread use. 2. Legally mandated pre-market testing of new chemicals or processes before they enter commercial use. 3. Prioritize those chemicals/processes that have neurodevelopmental toxicity. 4. Develop a new clearinghouse for neurotoxicity as a parallel to the International Agency for Research on Cancer to assess industrial chemicals and processes with emphasis on precaution and not absolute proof. 5. Shift from Risk Assessment to Alternatives Assessment as a more precautionary approach. (135) 6. Reevaluate the international standards for non-ionizing microwave EMF in wireless communications to include biologically relevant safety limits that coincide with current literature on levels that do not cause human, animal, or environmental harm. (134) Autism Part 3 will explore the link to other potential environmental factors that may contribute to the sharp increase in this disorder. For a full report of all references, visit www.sccma-mcms.org, and click on the “Committees/Environmental Health” tab. Cindy Russell, MD, is the Vice-President of Community Health, Chair of the Environmental Health Committee, and a CMA Delegate with the Santa Clara County Medical Association. She is board certified in plastic surgery and is currently practicing with the Palo Alto Medical Foundation Group. miners in the Sierra foothills. Some criticized his mail order business, but his work as a serious surgeon and medical educator represents his important contribution to California medicine. He died suddenly at age 74 of a stroke, while still active in his Montgomery Street practice. Stanford University Eating Disorders Program James D. Lock, MD, PhD Stanford University is conducting a study examining the feasibility and acceptability of a preventive intervention program; designed to improve child feeding in families in which the mother has an eating disorder. $19.95 incl. S&H FOR INQUIRIES/ORDERS – SEND CHECK TO: Michael A. Shea, MD 6807 Leyland Park Drive San Jose, California 95120 Email: md6996@sbcglobal.net Phone: 408/268-5820 All profits will be donated to the construction of the new medical museum at Santa Clara Valley Medical Center. An exceptional practice opportunity awaits you at Samaritan Internal Medicine. Our group has been meeting patients’ needs for more than 30 years in the Silicon Valley. We believe that excellent communication leads to excellent care and we are dedicated to the health and well-being of our patients and their families. partnered with University HealthCare Alliance, Stanford Hospital & Clinic’s medical foundation. The structure allows for the preservation of a private practice environment while providing access to one of the world’s leading medical institutions. We are seeking a full-time Internal Medicine physician to begin work fall of 2014. Our office is located in San Jose, CA and we currently utilize Epic EHR. We are a 5 person medical group with 4 MDs and 1 NP/PA providing internal medicine services to our community. Rent/Buy/or Option to purchase 2,000 sq. ft. office with minor surgical suite in first class building within walking distance of El Camino Hospital. Full service lease, with or without furnishings. Call 650/961-2652. Mountain View medical office space to sublet. 1,100 sq. ft. Available three days a week. In large medical complex, behind El Camino Hospital. Basement storage, untilities included. Large treatment rooms, small lab space, BR, private office, etc. Call Dr. Klein at cell 650/2691030. Second story of professional building across from Salinas Valley Memorial Hospital. Private balcony. Freshly painted and carpeted, ready for occupancy. 1,235 sq. ft. at $0.963/sq. ft. Rent is $1,190/month. Contact Steven Gordon at 831/757-5246. Ideal for medical, dental, physical therapy, optometry, office use. Approximately 1,700 sq. ft., near Santana Row. Excellent parking. Call owner at 408/858-9687. schedule patients, make reminder calls, collect paperwork and insurance info. Rent exam room one to five days per week, excellent office – low overhead. Call 650/814-8506. 2014 Physician Membership Resource Directory ORDER YOUR COPIES TODAY! There are a lot of updates and changes in the new 2014 edition. Make sure to order enough copies for you and your staff! Contact Maureen Yrigoyen at 408/998-8850 today! Doctor’s space for rent. Prime Redwood City location, one support staff member, new carpet and cabinetry, cleaning included. Call 650/365-1110. Our occupational medical facilities offer a challenging environment with minimal stress, without weekend, evening, or “on call” coverage. We are currently looking for several knowledgeable and progressive primary care and specialty physicians (orthopedist and physiatrist) interested in joining our team of professionals in providing high quality occupational medical services to Silicon Valley firms and their injured employees. We can provide either an employment relationship including full benefits or an independent contractor relationship. Please contact Rick Flovin, CEO at 408/228-0454 or e-mail riflovin@allianceoccmed.com for additional information. JOIN SAMARITAN INTERNAL MEDICINE PREMIER COMMUNITY HEALTHCARE PROVIDERS LOCATED IN NORTHERN CALIFORNIA An exceptional practice opportunity awaits you at Samaritan Internal Medicine. Our group has been meeting patients’ needs for more than 30 years in the Silicon Valley. We believe that excellent communication leads to excellent care and we are dedicated to the health and well-being of our patients and their families. We are seeking a full time Internal Medicine physician to begin work fall of 2014. Our office is located in San Jose, CA and we currently utilize Epic EHR. We are a 5 person medical group with 4 MDs and 1 NP/PA providing internal medicine services to our community. Angela Van Ginkel, MBA	Manager, Provider Recruitment & Relations	650-725-1501	UHAProvider@stanfordmed.org	Samaritan Internal Medicine is partnered with University HealthCare Alliance, Stanford Hospital & Clinic’s medical foundation. The structure allows for the preservation of a private practice environment while providing access to one of the world’s leading medical institutions. We are looking for an internal medicine physician for our multi-specialty group. Please email your CV to kaajhealthcare@gmail.com. Sunnyvale Dermatology (Dr. Bernard Recht) is looking for a part-time Dermatologist. We are a well established, busy office and we are looking for someone to work one to two days per week. Please email your CV to judy@sunnyvalederm.com. The IMQ 2014 Medical Staff Conference is the essential learning experience for those facing the challenges of leading a medical staff. This one-day conference is a great chance for physicians to join other medical staff leaders in a one-day learning opportunity that provides a foundation of knowledge, techniques, and best practices to help them succeed. The conference covers practices for credentialing and privileging no-/low-volume practitioners, telemedicine and allied health professionals, and other common challenges. Expert faculty will cover the use of quality measures to make decisions, as well as the legal, regulatory, and human aspects of dealing with colleagues who are aging, disruptive, or impaired. In one day, attendees will gain insights to assist them in successfully leading a medical staff, and in doing so, comply with key accreditation, licensure, and legal requirements. The IMQ 2014 Medical Staff Conference will take place October 30, 2014, at the Embassy Suites Waterfront Hotel in Burlingame, CA (near San Francisco International Airport). For more information, visit www.IMQ.org. Users of IMQ’s CME Certification Services are now able to view their transcripts online—anytime, anywhere! This new CME Certification user benefit allows users to check the status of CME credits, keep track of their progress, and print their transcripts at their convenience. The CME Certification user portal is located on the CME Certification page of the IMQ website: http://imq.org/ContinuingMedicalEducation/CMECertification. aspx. IMQ has added new courses to its IMQ Online Education platform— new courses cover patient safety, using CME as an organizational improvement, dealing with issues of physicians who are aging, disruptive, or impaired, a variety of clinical issues, and more. IMQ Online Education offers physicians the chance to earn AMA PRA Category 1 CreditTM at their own convenience, and to access CME courses at any time and from any Internet-enabled device. To explore the full selection of available courses, browse at www.imq.inreachce.com. Does your medical staff need help with peer review? The Institute for Medical Quality is expanding its services to include Clinical Case Review of individual cases and Judicial Review services in addition to our existing Comprehensive Peer Review services. Through off-site patient chart review, an IMQ Clinical Case Review consultation provides an objective evaluation of the clinical practice of one or more physician members of a hospital medical staff, physician group, or ambulatory care practice through peer review of selected cases. IMQ’s involvement is especially helpful when an organization will benefit from expert review of one or more patient cases, but needs physicians of the appropriate specialty who have no real or perceived conflicts of interest. Additionally, IMQ is seeking physicians to support this expansion of services. For more information about any of IMQ’s peer review services, or about becoming a physician reviewer, please contact Julie Hopkins at 415/882-5165 or jhopkins@imq.org. Our heart beats in California â&#x20AC;Ś and has for almost 4 decades. Since 1975 NORCAL Mutual has served healthcare professionals throughout the Golden State. Strength, stability and innovative products are just a few reasons why physicians continue to look to us for their medical professional liability insurance. We provide you: Industry-leading claims and risk solutions support 24/7 Full access to our interactive risk management library Flexible coverage options tailored to your needs California is important to us. So is your peace of mind. Come see how homegrown strength can help protect your practice.